The Maverick Volleyball Club will be entering our 30th season in 2014/2015 and we completely support the Ontario Volleyball Association’s (OVA) new Tryout Window Policy. We feel that it gives our current athletes the opportunity to explore all their options before committing with us for another season. We offer a product and environment that we are extremely proud of with a proven track record however we also realize that one size does not fit all. Prior to this new OVA policy, we have always encouraged our athletes to objectively weigh all their available options throughout the summer and fall. The difference is this year the athletes will not be faced with the pressure of having to commit to any Club after only attending one tryout. Our past practice was that we did not or will not choose a team after only one tryout. We instituted physical testing, skills testing and at a minimum two sessions of on court play prior to making a decision on an athlete during our tryout period. This new policy allows athletes to attend all tryouts for all Clubs to the end thus they will get a feel of what is best for them as an athlete without the fear of not having a spot on a team because they were doing their due diligence. As a general practice, the Club will not be offering any spots or taking any signed OVA registration forms from returning athletes during the resigning period (August 25, 2014 and 11:59pm on September 5, 2014). We would be pleased to have all our athletes return to the Club however we feel that all of our members should evaluate their options every year. What may have been good for an athlete last season may not be good for them this season. We truly believe that as a consumer, the athletes and their parents should be given the opportunity to evaluate all options that are available to them and make the choice that is best for their situation. Our decision to not offer spots early is not because we don’t value our athletes, we would rather that they make the best-informed decision for them and if that decision means that the athlete chooses our Club again great, if not, we are glad that they were able to choose another option that met their specific needs for the upcoming season. We have traditionally started our tryouts two weeks after Labour Day to allow the athletes to get into the school routine and we see no change in that for this upcoming season. Depending on our gym permits we may not have tryouts until the week of September 15, 2014 and the earliest possible date that we will be making official offers to our athletes for the 2014/2015 season will be September 27, 2014. We will make every attempt to post our tryout dates, locations and times as soon as the gym permits are confirmed with the respective school boards. In a case where our dates and times are in conflict with another Club we ask that the athletes make the necessary arrangements with the coaches/Club administration for both Clubs. Under extenuating circumstances an athlete and their parents could apply for a review of their application to re-sign with the Club during the resigning period. The review will be conducted by the Club President, a member of the Club’s Executive and an individual as designated by the Club Executive. 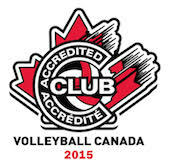 The athlete/parents (applicants) must provide the review committee a written submission and any supporting documents with their submission to be considered by the review committee by August 25, 2014 via email to the Club at (info@maverickvolleyball.ca). The committee will review the reasons for the applicant’s decision to re-sign with the Club and will determine if the reasons supplied by the applicants are acceptable and provide their written decision by September 1, 2014. The committee’s decision is final and no further recourse will be available to the applicant. As in prior years, if an athlete is unable to attend tryouts due to extenuating circumstances they are to contact the coach for the team and provide the coach with the reasons for them not being able to attend the tryouts. The coach may ask that the athlete attend supplemental training sessions post the tryout window before an offer is made. What will be the process at tryouts? The Club offers High Performance (HP) and Competitive (COMP) teams from 13U to 18U for both girls and boys, for more information on the programs please refer to: Maverick Club Programs. HP teams are offered for girls starting at the15U age and boys at 16U age. In the past we have always encouraged athletes to try out for HP teams first and if they are not successful they should continue their tryouts with the COMP team. The Club realizes that the try out period could be stressful for the athletes and their families and will do our best to alleviate the situation. 1. At the first session we will be conducting physical testing, skill assessments and will be holding a parent information session for the parents. 2. At the second session we will conduct a combined practice and game simulation to evaluate the athletes. 3. At the third session, invited athletes will attend another practice and game simulation. For the athletes that will be offered a roster spot, the coaching staff will call the athlete and their parents and inform them that they will be offered an official roster spot on September 27, 2014. There will be instances where athletes will be told that they are alternates and if another athlete does not accept their offer on September 27, 2014 they will be offered a roster spot. We realize that this is not the ideal situation, however this is done every year by the coaches who contact their selected athletes first and will only contact their alternates if an athlete does not accept the roster spot. All athletes regardless of their status are encouraged to explore their options throughout this tryout window. NB: A potential fourth session may be required and will be announced by the coaching staffing at the conclusion of the third session. 4. On September 27, 2014 at 9AM the coaching staff will contact the selected players and will make an official roster spot offer and will ask that they athlete verbally commit to the team. The verbal commitment is required at this time, as the coaches will need to contact the alternates and let them know their status on the team. Session 3: Thursday September 18, 2014 all invited athletes will be evaluated. Jill will be informed verbally that she will be offered a roster spot on September 27, 2014. The coach will also inform her that she has until September 27, 2014 to respond to the Club. Jane will be informed that she is an alternate and will be considered if another athlete does not accept the roster spot. On September 27, 2014, the coach will contact Jill and confirm that she will be offered a roster spot and will need a verbal commitment from Jill as there are alternates waiting. Jill accepts and will sign all of her necessary paperwork at the Maverick Signing Day event. This example illustrates that Jill and Jane have 9 days (September 18 to September 27) to explore all their available options. 1. Why doesn’t the Club want me back? I have to go through tryouts again? To the contrary, we would love to have all of our athletes return to the Club because they choose to not because they have no other option. What will be my training environment for the season with Club X? What does Club Y offer that will benefit me as an athlete? Where is the best fit for me? Will Club Z help me reach my long-term goal in the sport? The Maverick Volleyball Club does not want to be put in a position where we offer X number of spots and have the landscape change significantly at tryouts and have athletes committed when the fit is not there for them or the Club. We would rather under sell and over deliver than the alternative. In addition, we respect the try out process where those who deserve to be on a team will be offered a spot on that team. 2. We are hearing that Club X and Club Y have asked all their returning athletes to resign with them during the resigning period (August 25, 2014 and 11:59pm on September 5, 2014); doesn’t this disadvantage the Maverick Volleyball Club and me as an athlete? Clubs are within their rights to offer roster spots to their returning athletes during the resigning period. However, they cannot make an offer to you as a member of the Maverick Volleyball Club from the 2013/2014 season. If such an offer is made please contact the OVA Technical Director and report that such an offer was made. The Maverick Volleyball Club believes that we are not disadvantaged at all by the other Clubs’ decision to resign their athletes. We fundamentally believe that all athletes should evaluate their options year over year and choose the team; program or Club that will best fit their needs. We realize that you as an incumbent Maverick athlete may be a disadvantage when the tryout process begins at Clubs X and Y as they may have already made roster spot offers to their returning athletes prior to the tryout period starting. In theory, you are correct that you may be one of many athletes trying out for a limited number of spots on Club X and Y’s team. The Club has communicated extensively with other major Clubs in Ontario and we all shared the same view that we should put the player’s needs first and that an athlete should never be pressured either as an incumbent or new to the Club to make a decision to join. The other Clubs will be making similar announcements shortly. 3. I played with Club X last year and I was offered to be resigned by them but I want to explore my options with your Club. What should I do? Arrange to speak with a person from the Maverick Volleyball Club to obtain more information about our Club. Finally, you don’t have to sign or commit if you are unsure about your options. 4. What if Club X or their coach/Executive/parent gives me a verbal/written offer this summer before August 25, 2014? Please contact the OVA’s Technical Director (jtrepanier@ontariovolleyball.org) as it is in violation of the new policy. If it is a Maverick coach that makes such an offer please inform Kerry MacLean (Kerry@maverickvolleyball.ca) along with informing the OVA’s Technical Director. The Club will fully co-operate with the OVA in their review. The Club will also reserve the right to further sanction the coach above and beyond the sanctions that the OVA may impose. Although verbal commitments cannot be enforced by the OVA or the Club, we instructed all of our coaches to not give verbal commitments or enter into any discussion about specific team make-up to any athletes/parents during the competitive season or between May 31 and tryouts. Any discussion with athletes/parents should be giving direction as to how they can best prepare in the summer for tryouts in the fall. 5. What if I get a verbal/written offer from Club X during the tryout window period? The earliest a written offer can be given to an athlete is September 27, 2014. Maverick coaches will only give verbal offers during the tryout window period (September 6, 2014 to September 26, 2014) indicating that there is a roster spot available for the athlete and an official offer will be made on September 27, 2014. 6. What happens on September 27, 2014 when I get X offers? Club Y is asking for a response by 11:59PM on September 27, 2014 and Club Z has a three-day response period? Help! Club X called me at 8AM on September 27, 2014 asking me for an answer?!? If you have not already done so meet with the coaches for the team(s) and ask them the questions/concerns/issues that you have. If you need more information contact that Club’s Executive. We hope that you as an athlete and family have done your due diligence and researched the Club, team, coach, programs offered etc.… prior to September 27, 2014. The Maverick Volleyball Club as a practice will not pressure an athlete into making a decision. There will be extenuating circumstances where we will need a response from an athlete/family quickly but we would have shared the circumstances of why that decision has to be made quickly with the athletes and parents at the tryout information session/ meeting. The Club has always held an information session at all the tryouts explaining our Club and what to expect during the volleyball season as well head coaches are asked to conduct a meeting about their team’s plans for that season. This is year one of the policy and undoubtedly there will be Clubs that will find loop holes and work them to their advantage. If you are in a situation where you feel pressure from a Club then you have to ask yourself the question, is this where I want to be? Know that the verbal offer made at the conclusion of our tryout was reflective of where the coaches believe you stood on the team . We have 30 years of experience and frankly we will not renege on an offer and risk tranishing our reputation. You will have the time between when the verbal offer was made by our coach to September 27, 2014 to explore and ask all the questions you have. Finally, remember that the OVA’s imposed deadline to sign with a Club is in February so technically you as an athlete do not have to sign with a Club until that time. Granted you would have missed a significant amount of competition but don’t ever feel pressured to sign immediately with any Club. As an athlete your responsibility is to be informed and seek information about your own development in the sport. If you don’t know ask, if the person you are asking doesn’t have the answers ask someone else that does. Best of luck to all for the upcoming tryouts and season!